The grocery department is the heart of the store where you will find variety, quality, and value in every aisle. Our end caps at the front and back of every aisle are where you can find this week’s advertised features and other items of exceptional value. Our aisles also offer health & wellness, beauty care products, pet foods, cleaning supplies, laundry supplies, and other non-food items. Our center store features over 52,000 items. We fully integrate all of our sections so if you are looking for gluten-free, organic, non-GMO or other dietary options you will find them in the same section right next to the other like items. Our belief is that when shopping our aisles, you should be able to see all of the choices available. We also carry multiple sizes and flavors of many items. Whether you are buying for yourself, your family, or a whole baseball team – we’ve got you covered. Before we open a store, we study the demographics of the area and bring items into our stores that will satisfy the taste of the local community. We like to add variety to our traditional offerings by incorporating foods from all around the world. If there is a particular item that is native to your country, community, or culture that you would like us to carry – please let us know. Our Market Basket private label program offers customers the best product at the best price. 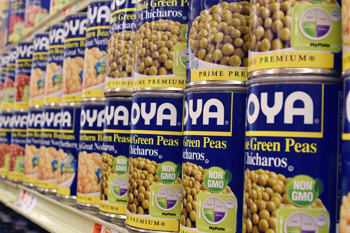 We have over 2,900 private label choices in the grocery department – all of them of the highest quality. You will find Market Basket private label in every aisle as you shop our stores. 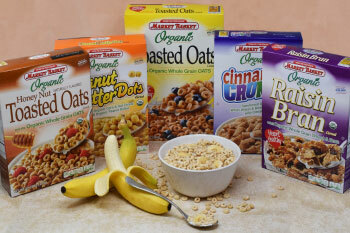 Be on the lookout for the newest Market Basket items including organic, non-GMO, and gluten-free options.